Emotional eating is a topic that brings up a lot of emotions whenever I talk about it. This makes sense – many of us use food as a way to cope with both negative and positive emotions. That’s right: we might emotionally eat not only when we’re sad or overwhelmed, but also when we’re experiencing positive emotions like spending time with family or celebrating work accomplishments. If eating is a source of pleasure for you, there’s nothing wrong with that. But if you think your emotional eating is causing a problem for you, it may be worth examining your emotional eating more closely. In this episode, I’m sharing three things you should do if you want to observe your emotional eating and three things you shouldn’t do. I talk about the importance of witnessing your eating habits without judgment, feeling your feelings, and planning out what you’re going to eat. I also discuss some of the emotional eating habits I’ve observed in myself as I’ve done this work and how I’ve come to love and accept my body exactly as it is. Losing weight shouldn’t be about trying to conform to some external standard of how your body should look. It should be a vehicle for leveling-up your relationship with yourself and your life. Like what you heard on today’s show? Join me this week for one of my free webinars! I’ll be answering your questions, sharing the secrets of successful mompreneurs, and so much more. I’m also hosting my first-ever, live, public coaching call – come join us! Why it’s so common to use food as a way to deal with emotions. Whether or not food is supposed to be pleasurable. How to bring nonjudgmental awareness to your eating habits and notice whether you eat in response to positive or negative emotions. Why I recommend that you plan out what you are going to eat before mealtime rolls around. How a dieting mentality can actually detract from the weight loss process and your relationship with yourself. Why you shouldn’t expect the weight loss process to be easy or linear. Come hang out with me in Seattle at Better Than Happy Live! I’ll be there in June to spend a whole day with you, give you a taste of coaching, and record a live podcast all about how to create a deliberate future. My Utah date in April is all sold out, so hurry and grab your tickets! Join me for one (or more!) of my free webinars this week! Or join me on a live, public coaching call! I’m Jody Moore and this is Better Than Happy, episode 194, Emotional Eating. This podcast is for people who know that living an extraordinary life is not easy or comfortable. It’s so much better than that. This is Better Than Happy, and I’m your host, Jody Moore. Hey. What’s happening? You ready for another podcast episode because I am. I got a good one for you today. We’re going to talk about emotional eating. Some of you get emotional when I even bring up this topic. I can’t believe how emotional people get about food, but we’re going to talk about it because I also know a lot of you are struggling with it and want some help with it. I want to just start by saying how awesome this community is and how grateful I am for each of you who listens and shares it. I feel like my people, in other words, those of you who listen and follow along and those of you who are clients in my program, my people are the nicest people ever. Seriously, I’m always impressed with you guys. Everywhere I go you’re so generous, I can’t tell you how many people reach out and go, “If you need any help with anything while you’re here, let me know,” when I go to live events. And I think they genuinely mean it. People come early and they just offer to help. Last time we were in Arizona, one of my sweet girls Natalie just loaded her car up full of cardboard boxes from all the stuff we brought it and she was like, “I’ll take it, it’s fine, I’ll take it to the recycle bin.” It’s like, who does that? Anyway, you guys are the best. I got a preface this topic of emotional eating with letting you know that you get to think and believe anything you want to about food and about your body and about how to best stay healthy body physically and emotionally, and so do I, and so does everybody else. And I want everyone to choose for themselves what belief systems around food serve you best. That is what I recommend in every area, but around food, that is the case as well. So sometimes when I talk about eating tools or the weight loss tools that I coach on, I get I would say more than any other subject, I get people really upset with me when I talk about eating tools saying that I shouldn’t be saying what I’m saying and I shouldn’t be teaching what I’m teaching. And so again, I want to preface this with you don’t need to email me and tell me all about your version of an eating plan that is all good and fine. What I’m offering here are my thoughts and what I find to be true for me and what I find to be true for many of my clients. But this certainly does not apply to everyone. This may not be the right approach for you, or there may even be just some pieces of what I’m going to teach or offer to you that you don’t like that you are welcome to discard. I think that it’s really important that we all choose for ourselves what is going to serve us best. But the tools I’m going to offer you today have helped thousands of women and their struggle with food, and that’s what I’m going to offer you here. I also want to explain that I love helping people with their weight goals not because I care what size your body is or how much tissue or fat is on your body. I could not care less about that. You are amazing and whole and valuable and lovable, 100% lovable exactly as you are. 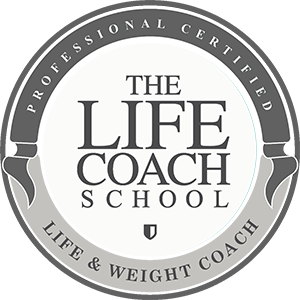 The reason I love helping people with their weight goals is because it’s such a brilliant platform by which we get to up-level your relationship with yourself and with your life. The only way I have found for myself and my clients to have long-term results and to have a healthy relationship with food and with their bodies is to do the work of improving the relationship with themselves and their lives. So that is why I love coaching on weight because it gives us something by which to bring all of that up in order to do that work. So if you’re up for any of that and you want to lose some weight along the way because that’s just a gift with purchase, kind of a fun side benefit of doing that work, this episode is going to be for you. If it’s not, no worries, you just skip it and I’ll be back next week with another topic. How does that sound? And I say I’m not trying to take that away from you unless it’s causing you some kind of a problem and then I just want us to examine it. I just want us to be open to questioning it. So I want you to think about when you were a child or if you are a parent, I want you to step back and ask yourself if you ever do this with your children. We see a child who’s upset about something, we try to comfort them, we try to console them, we try to offer them a different way to think about what’s going on, to help them stop being sad, and then when that doesn’t work, we’re like, I know, let’s go have some ice cream. Now again, I’m not telling you that you’ve done anything wrong, I just want to show you how we connect ice cream or whatever the food is to helping us get over the sadness. And then guess what happens? That child’s face lights up at the sound of ice cream and then they eat ice cream and they feel better. And we’ve just taught them, we’ve just wired their brain to associate getting over a negative emotion with ice cream. And if that happens every now and again, I don’t think it’s that much of a problem. But when it happens over and over and over again, then our brains start to associate pretty strongly the idea that ice cream or whatever other treat is the way to deal with sadness. It’s the answer to sadness. Now, interestingly enough, we do the same thing sometimes with positive emotion. We say hey, you did such a good job at your piano recital, I’m so proud of you, let’s go have some ice cream now to celebrate. So many of us were raised in this environment of associating food, especially joy foods, really highly concentrated pleasure foods with emotion, negative or positive. So let’s just answer that question. Is food supposed to be pleasurable? I say yes, it is, but within reason. When we talk about food, we have to examine the way that we as human beings were initially developed and the way our ancestors survived because the ancestors of ours who survived had babies and then those ones that survived had more babies and so on and so forth until we arrived. And so that’s what I mean when I say this is how we’ve evolved as a species. And so the ancestors who survived were the ones that sought out pleasure such as an apple or some protein of some sort from an animal that they found, or some whole grains, or food like this. So is food supposed to be pleasurable? Yes. Like a chicken breast, like our ancestors used to eat if they cooked up a chicken wasn’t covered in any kind of cream sauce or cheese or anything like that, or maybe even any spices. It was just a plain chicken breast is pleasurable. It’s just that in today’s society, a plain chicken breast doesn’t really do it for us if you’ve been eating the kinds of food that most of us have been eating that gives us concentrated pleasure. So if I tell you listen, get tons of pleasure out of that kale salad, you’re going to tell me that’s kind of boring and it’s not that pleasurable, and that’s why I say okay, what if we say food isn’t for pleasure then? What if we just take pleasure off the table? Now again, it’s totally fine for you to use food as pleasure if you want to, but if it’s sabotaging your health or your weight goals, then it might be something you want to get back into check. So today I’m going to give you three dos and three don’ts that I recommend you consider if you want to stop emotionally eating. Take them or leave them. You with me? Do number one is to become aware without judgment. Now if this sounds familiar to you, if this sounds like the same topic I teach on a lot of other podcast episodes, it’s because it is. Because like I said, the tools of weight loss are the same tools we use for any other area of your life. So when you stop and just start observing yourself and observe your patterns, observe your routines and habits, that gives you some leverage over changing them. The key is to observe them without judging yourself because some of you are going to want to observe it and then say what’s the matter with me, why do I do that? Why can’t I stop that? That part will sabotage you so please just take the judgment part off. Replace it with that’s so fascinating how I do that. Maybe you’ll observe that you like to have a little snack when you’re really frustrated with your children. I’ve had many clients who have observed that. When my kids are acting up and fighting and I’m overwhelmed and the house is out of order, all of that overwhelm and frustration, my brain thinks the answer to that is a few Cadbury mini eggs, which when make my taste buds light up and the next thing you know my body is digesting that and my brain just got a dopamine hit and it feels like I can tolerate now the frustration and the overwhelm and all that much better. Although notice, it doesn’t really take care of the frustration and overwhelm. So maybe that’s what you observe. Again, not like, what’s the matter with me? Just like, huh, interesting, good to know. Maybe you’re going to observe that you have a lot of self-loathing that we need to work on getting rid of. Maybe you have a lot of shame, maybe you don’t want to observe yourself. If you don’t want to get on the scale, it’s because you have judgment of yourself and self-loathing and shame that I recommend we work on. The number on the scale is just the earth’s gravitational pull on your body at any given moment. It says nothing about your goodness or value, so let’s work on that. Let’s figure out why you’re making it mean that, see if we can reverse that. One of the things that I observed about myself as I’ve done this work is that I am uncomfortable during transition times and I don’t just mean big life transitions. Those are uncomfortable for me. I did a whole podcast on that. But I even mean transitions between like, okay I’m going from working now to being with my children, or even going from we’re done with dinner to what are we going to do next. And that’s where I’m like, just a little bit of chocolate would be great, just a little snack would be great, would take the edge off because the transition is uncomfortable for me. It’s not like painful uncomfortable, I wouldn’t have said it was uncomfortable until I started observing myself around food and realized it’s just enough discomfort that I want a little snack. It’s just hmm, what should I do now? Should I do this thing that I said I was going to do or should I do this thing that I feel like doing? Or what do I even feel like doing? That discomfort makes my brain think I should just have a little snack. So that’s what I mean by awareness without judgment and that’s number one. As I mentioned before, we also, many of us associate food with positive emotions, so just notice that. If you’re like, I’m so proud of myself for doing that thing, I should reward myself with French fries, again, I’m not telling you you can’t. But if it’s not creating the result that you want, I like to stop and say now, wait a second, why isn’t just being proud of myself enough? Why do I need to eat food to take the edge off of that? Why can’t I just celebrate without food? Why can’t I just go to the movie and get enjoyment out of being in a movie theatre and watching a movie and being with my friends and family? Why do I have to eat something to complete that experience? What is that about? Is it that the experience is not that pleasurable without the food or is it that experiencing these positive emotions is actually a little bit uncomfortable? It’s actually not something we’re used to and a little bit out of alignment with how we normally feel and so we’re buffering from those positive emotions even. And I don’t know the answer for you, but we willing to just observe it. This is what I mean by awareness without judgment. Okay, let’s talk about do number two. Number two is to just feel your feelings. Just learn how to be a human feeling emotion. You don’t have to try to change them right away, you don’t have to tell yourself I shouldn’t be feeling this, I should be happier, I should be more positive or less grumpy. None of that’s going to be useful. Just get good at feeling them. Negative feelings are not that big of a deal. Did you know this? When you just allow them or relax into them. This is what I’ve been doing lately is like, when an urge or craving comes up for food, I used to go no, no. When I was like, I should eat – again, it’s like the Cadbury mini eggs right now because they’re sitting on our counter in a big bowl. My brain is like, I should eat a couple of those and then I say no, no. That’s pushing it away, that’s not feeling the feeling. Feeling the feeling is yes, I’m going to feel this, yes to this urge, yes to this desire. When you can say yes to the desire and feel that feeling without eating the mini eggs, then it’s not a big deal. Desiring the mini eggs without eating them, truly not a big deal. I had somebody ask me on – I think it was the webinar I just did, the stop emotional eating webinar. She said, “What if it’s not about emotion? What if it’s not emotional? What if I just want some chocolate because of the pleasure of chocolate?” and I told her that is emotional. If it’s not something your body genuinely needs and I don’t mean your body needs it because you’ve kind of screwed up your hormones and your desire and your urges and cravings by overeating as most of us have done. So if it’s not emotional, if it’s truly just hunger, then a plain chicken breast or some broccoli will solve for it. If not, if chocolate is the only thing that will solve for it, it’s emotional. You with me? Learn to feel desire without answering it. Sit with it, see it as an opportunity to experiment with what desire feels like in your body. How would you describe unanswered desire? Now, it doesn’t feel good, don’t get me wrong. But it’s definitely not intolerable, it’s definitely doable if you’re willing to relax into it, to say yes to the desire and play with what it feels like in your body. We have all kinds of excuses, trust me. I’m the best one at all of them. They’re all just excuses in the end. Make your plan simple. Repeat foods often. Plan exceptions whenever you want to. You can say tomorrow I’m going to a birthday party and I’m going to eat a piece of cake. That’s very different than telling yourself I’m not going to eat cake and then getting to the party and really wanting cake and not being willing to sit with an unanswered desire and so you answer it and you eat the cake and now you’ve reinforced that desire in your brain. But if you want to eat cake, if the day before the party you want to eat cake tomorrow, then do it, put it on your plan. Isn’t it fascinating how we don’t really even want it the day before? Sometimes we do, but mostly we don’t. So make a really simple realistic plan and learn how to eat based on what you said you were going to eat when you were thinking clearly and wisely. What you said you were going to eat when you weren’t starving and exhausted and already having made so many decisions in the day that you have decision fatigue. You have to plan it when you’re sharp and fresh and ready to go. Don’t believe your brain when it says, “But I can’t possibly plan because it’s all out of my control.” That is another lie your brain will want to tell you that again, I am a professional at selling myself. It’ll say, “Yeah, but we’re going to those people’s house for dinner and I don’t have any idea what they’re going to serve so how can I possibly plan? I’m going on vacation next week and I don’t even know what restaurants we’ll be at or what they’ll be serving, how can I possibly make a plan?” And that’s some BS, y’all, I know because I finally called myself on it and realized that’s some BS. Do you know what I can do? I can say hey, tomorrow when I go to that person’s house for dinner, I’m going to eat this portion size. I’m going to eat a reasonably portion size of whatever they serve me, and I can decide whether or not I’m going to eat bread and I can decide whether or not I’m going to eat dessert. I can make lots of decisions. I may not be able to plan it 100% but I can plan so many more things than what I tell myself and I say well forget it, I’ll just eat whatever and see how it goes. So plan in advance. As much as I wish there were a different way, being a non-planner myself, I have found that this is the best way. Let’s talk about three things not to do. Are you ready? Number one, do not go into diet mentality. Do not let your brain go there. What do I mean by that? Well, first thing I notice is that when people are on a diet, that’s a temporary state. Temporary behaviors will get you temporary results. So if you have a reason why you want some temporary results, then it’s perfectly fine to go on a diet and diets do work actually if you follow them. It’s just that they’re typically temporary and therefore they’re going to get you temporary results. So don’t be doing anything that’s temporary unless you’re okay with that. The second part of diet mentality is that there’s a lot of willpower and resisting going on. Willpower, you guys, is no match for your primitive brain. It’s no match for that part of you that seeks pleasure. So instead of willpower, because willpower will run out, you have to do what we talked about earlier, which is be willing to feel emotions and relax into them. Another part of diet mentality is this hurry that we’re in to get to the end result. So whenever I notice my client is in a hurry, I always stop and ask them what’s the hurry about because when we’re in a hurry, it means we’re not living from the emotions we think we’ll have once we get there, which is a whole ‘nother podcast. But when you recognize that there is no end place that’s any better than where you are right now, then there is no hurry and the journey has to be enjoyable as the end result. Another part of diet mentality is the crazy rules that you might be tempted to give yourself about food. So don’t be doing anything that you’re not willing to commit to for the rest of your life. And here’s the thing; you can have rules for yourself. I’m not saying don’t have rules and I’m not even saying don’t restrict. But there’s a difference between having some rules and restriction from confidence and love of yourself versus doing it from fear and self-loathing. The latter is diet mentality and can even ultimately be eating disorder mindset. So don’t go into diet mentality. The number two thing I want to recommend that you don’t do is you don’t expect it to be easy or linear. Here’s what I want to have you expect the process will look like. The first step is you’ll be really motivated and excited and committed like this is it, I’m going to do it this time. Sound familiar? The next step is you’ll make a little bit of progress. Maybe you lose a little bit of weight, maybe you lose a lot of weight. The next step after that is you will have setbacks. Maybe you will gain a whole bunch of weight back, maybe you’ll gain all of it back, maybe you’ll gain just a little bit of it back, or maybe you’ll just plateau, but there will be some setbacks at this point. The next step is you make a decision. This is it, you guys, this is the time that matters. Either you’re going to go all in on yourself now that you’ve had this setback, you’re going to double down your efforts, or you’re going to give up and say never mind, this is too hard, I can’t do it. After that, if you decide to go all in, then you’re going to need to recommit and do that, rinse and repeat that process as many times as necessary. So I want you to know that this is the process. This is the way it’s supposed to go. This is long-term changing your eating habits. This is the opposite of diet mentality. So a lot of people get to that third step where they have the setbacks and they’re like, dang it, I thought this time I was going to get there, maybe not, maybe this isn’t going to work again. Like no, this is just part of the process. So kind of back to what we talked about earlier too with diet mentality being that we’re really in a hurry to get there, I like to ask my clients, what if it’s going to take you five years to get there? Five years of losing some weight, maybe gaining some, then making some progress and then having some setbacks, it’s going to take you five years to really get to the point where it becomes natural and easy for you to be at your ideal weight. Are you in for five years? And a lot of times they’re like, I don’t know. But I want you to stop and think about how this doesn’t make any sense in our brains because those five years are going to go by whether you lose that weight or not. So five years from now, you’re either going to be the same size you are now or heavier if you give up, or you’re going to be at your ideal weight. And what we’re saying is I think it will just take too long so I think I’d rather just stay this size or keep gaining weight. That makes no sense. What’s the rush? Who cares how long it takes? Is it hard? Yes, it is hard. It’s going to be hard. So now what? This is what I tell myself when I’m working this. I say listen, this is what I’m committing to and I’m going to feel pretty crummy. I’m going to feel crummy physically as my body adjusts, as I go through withdrawals and over hunger, and then I’m going to feel crummy emotionally because I’m going to have unanswered cravings, I’m going to have all kinds of emotional discomfort like overwhelm and confusion. And that’s it. That’s the price of weight loss. That’s the price of improved health. I personally am at very high risk for type two diabetes because I had gestational diabetes with three pregnancies. So I can either do all of this discomfort right now, physical and emotional discomfort, that’s my choice that I get to monitor as I see fit, or I can do the discomfort later of medications and insulin injections and all the other things that come with type two diabetes. That’s my choice. So no rush. I just know that I’m staying on this path as long as it takes. Now, the third thing that I don’t want you to do is I don’t want you to beat yourself up for overeating. Please do not do this. This is not useful. We think, “I need to really be hard on myself because I overate and I didn’t stick to my plan, and then that’s going to help me get closer to my goal.” But that doesn’t work, my friends, in case you haven’t noticed. It’s the opposite, in fact. Instead of that, you have to try on some other thoughts that you can still believe like I just haven’t gotten really good at unanswered desire yet. It might take me years to get really good at feeling unanswered desire. I’m all in. I haven’t healed this part of me yet or I haven’t mastered this skill yet but I’m willing to keep going for as long as it takes. I want you to stop and think about what’s more amazing. That woman who loses 50 pounds in six months, that’s amazing, right? We all hear that and we’re like, wow, that’s incredible, I wish I could do that. But I want you to think about the woman who says I lost 50 pounds and it took me five years, but I just kept going and I feel better than I ever have and I’m not afraid of gaining this weight back because I’m so good at feeling my feelings in this process that even if that did happen, I would just do it all again. I think that’s truly amazing. So here’s the thing, my friends, your body is amazing and beautiful and a miracle. I don’t care what size or shape it is. It is a miraculous thing, that body of yours, especially if it works pretty well, especially if you’re not in chronic pain or you’re not carrying a terminal illness. That body that you have is like nothing else. It has so many systems that do their job without you even having to think about it or tell it. Like our respiratory system, it keeps you breathing. Our nervous system, our digestive system, and immune system. We could go on for a while like this. So what your body should look like is just a mental and social construct. Do you know what we know your body should look like? It should look exactly how it looks right now. And here’s the thing; I’m 44 years old so there is no amount of weight loss that’s going to make my body look quite how I think it should look in my mind. I’m either going to have some extra weight or some saggy skin. So I can’t be on this journey in order to love my body more. I got to love my body as it is. And I get it, it’s challenging, but there are so many options available. I want you to choose what you’re going to think about your body. When I can’t get to like, that’s so beautiful, I just get to like, bodies are kind of funny looking. They really are, and I’m so glad I have one. Mine’s kind of squishy in some places and it’s all good. And those kinds of thoughts, you guys, that kind of thinking and emotion is what drives you to be willing to do this work. Not shame, not self-loathing. Alright, I’ve given you a bunch of tools. Just pick one even. Give it a try. Let me know how it goes. Thanks for joining me on the podcast today. I will see you next week for another episode. Take care. If you have a question about something you’ve heard me talk about on this podcast or anything else going on in your life, I want to invite you to a free public call, Ask Jody Anything. 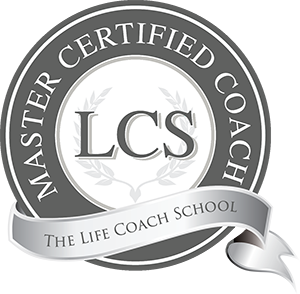 I will teach you the main coaching tool I use with all of my clients and the way to solve any problem in your life, and we will plug in real life examples. Come to the call and ask me a question anonymously or just listen in. Go to jodymoore.com/askjody and register before you miss it. I’ll see you there. This episode was super helpful, especially being non-judgemental with ourselves. I have struggled with this myself and many of my clients do, as well. Compassionate awareness really is key. Many of us don’t make the connection between learned desire for sweet treats and why we overeat them. Thanks so much! Can we talk about the opposite of eating too much, by using food as a controlling tool? As we talk about food as a fuel, can we discuss what happens when we try to control our bodies, by not eating, and using food to control and punish ourselves? My daughter is 13. She has always associated food with pain, discomfort, and with the negative emotions with child fears (The witch from Hansel and Grettel). My daughter associates food with sadness, but also shame, and she weighs 62 lbs. Help Please!! !